In her 40 years living in Pasadena, Judy has always made time for community service. She served on the Board of Directors of several organizations, including Westridge School for Girls, Jericho Road, Pasadena Heritage, Pacific Clinics, and the Junior League of Pasadena. 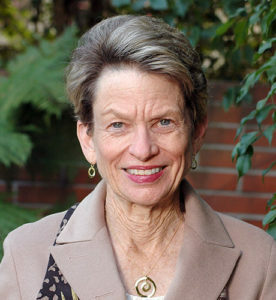 In 2011, Judy joined the Board of the Pasadena Community Foundation.